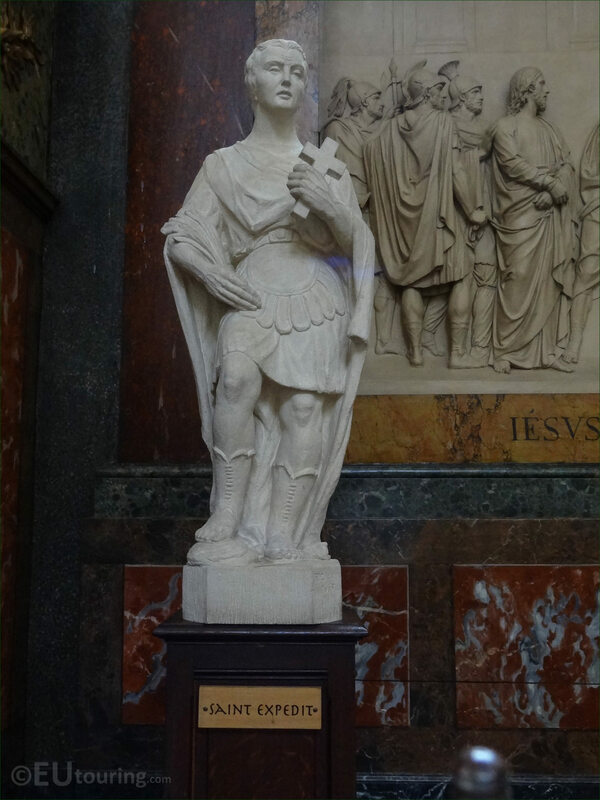 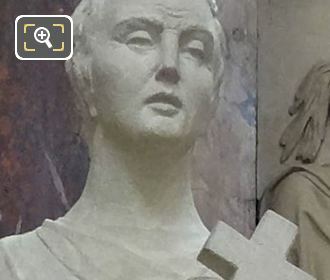 While we were within the Eglise Saint-Roch, which is located in the 1st Arrondissement of Paris, we took these high definition photos showing a statue depicting Saint Expedit. 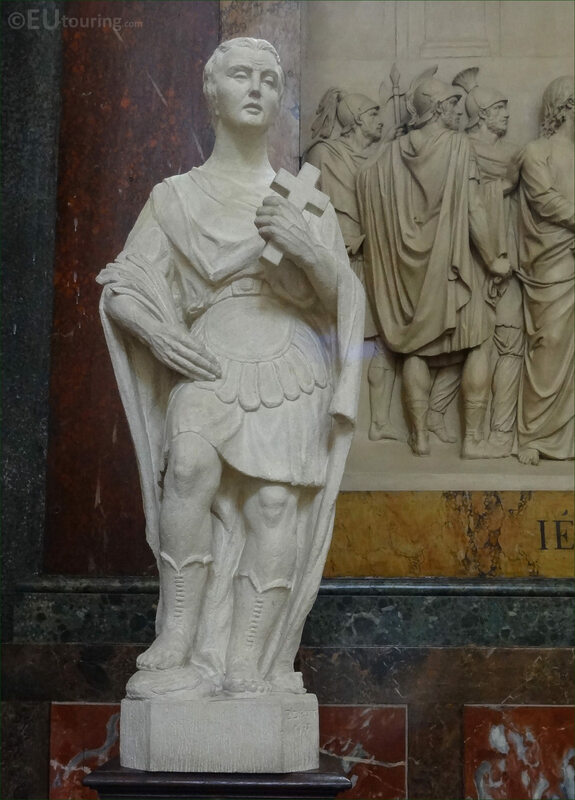 This first HD photo shows a statue placed upon a wooden pedestal depicting Saint Expedit, which in English is spelt Saint Expeditus, and according to tradition he was a young roman soldier that converted to Christianity and was beheaded, so became a martyr. Venerated in Roman Catholic religion, and even though not widely recognised in Europe, but more so in Latin America, he is classed as the Patron Saint of urgent causes, due to a story where he did not wish to wait until the following day to become a Christian, which also tends to be where the word expedite comes from, that means to speed up where it be in a law case, but especially when associated with shipments of goods. 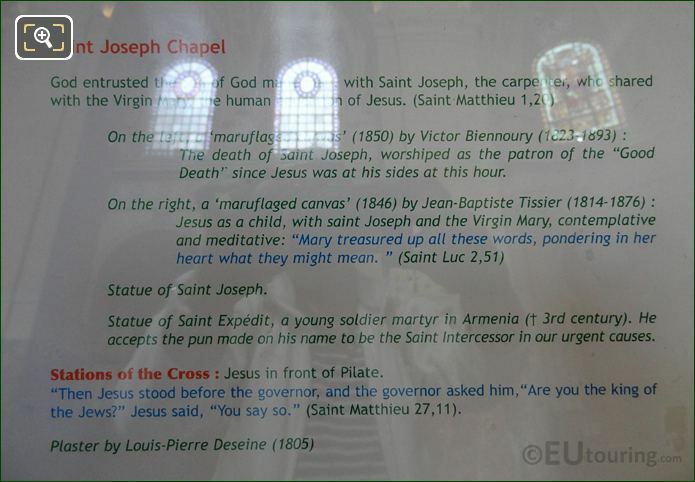 Unfortunately we have not been able to find out any more about the statue of Saint Expedit like who sculpted it, when, etc, however you can see this within the chapel of the Eglise Saint-Roch called the Chapelle Saint Joseph, which is located on the left hand side of the church as you have entered from the Rue Saint-Honore. Yet here you can see the tourist information board that we took a photograph of, and this is the English version providing details about the other works contained in this small chapel, yet it was also written out in French as well.